A while ago I borrowed a phrase: saints beget saints. This seems to be VERY true –even, and most importantly, in families. Of course, there there are many good examples of family members being raised to the honor of the altar. We need more witnesses to Christ Jesus as saints. On January 25, 2015 -news was received that another member of the famous Martin family will be studied for a proposal for beatification and canonization. In history she was known as Léonie Martin, in religion she took the name of Sister Françoise-Thérèse. She was the daughter of Blessed Louis and Zelie Martin and the sister of St. Thérèse of Lisieux. 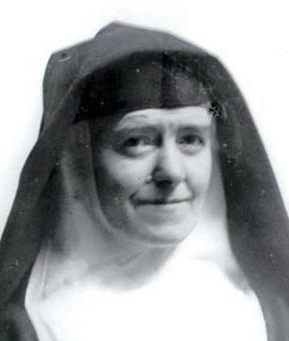 Sister Françoise-Thérèse was a professed member of the Monastery of the Visitation at Caen, France, where she died in 1941 at the age of 78. 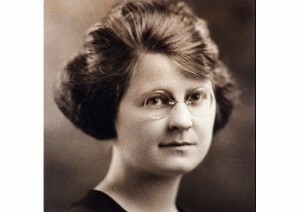 The story: The opening of the diocesan process for Leonie’s sainthood is to be announced in France today. Today, the Catholic Church in America witnessed the beatification of a woman Sr. Miriam Teresa –the fourth American-born woman to be beatified. This is the first time a beatification ceremony happened in the USA. The Mass and rite was offered by Cardinal Angelo Amato in the Cathedral Basilica of the Sacred Heart in Newark, NJ. Interesting, our new blessed was a member of the Eastern Catholic Church in the United States. She was a member, however, of a religious order of the Latin Church, the Sisters of Charity of St. Elizabeth. Her feast day is May 8. The Blessed’s book, Greater Perfection, published after her death remains germane to those interested in the spiritual life. The Vatican Radio interview with Bishop Kurt Burnette (eparchial bishop of the Byzantine Ruthenian Catholic Eparchy of Passaic) notes very well the importance of Blessed Miriam Teresa for us: her understanding of the sacrament of Baptism, her teaching on prayer, her desire to be of complete service to the Triune God. As the bishop says, Americans are known for their activism; and the other American blesseds and saints are known for their activity in building up the Mystical Body of Christ –the Church, but her God has chosen to raise up for us a model of holiness who is a contemplative. “Bishop Burnette reflected on the impact of her legacy on Eastern and Western spirituality. Pope Francis approved a miracle attributed to Sr. Miriam Therese when a young boy who lost his eyesight due to macular degeneration was cured after prayers through her intercession. For Bishop Burnette, this miracle along with her profound humility, spirituality and insight are clear signs of God’s confirmation of her sanctity. “I don’t believe we really choose who is going to be canonized, God does,” he concluded. Shortly after the elected of Francis to the Throne of Peter, he approved of the miracle that would lead to his beatification. His first miracle, if you are interested, concerned a case in 2003 where a Chilean baby boy’s heart started beating despite doctors’ failed 30-minute efforts to resuscitate him. The boy’s parents prayed to Del Portillo for his intercession from God to save their child. From all reports the child lives a normal life, going to school and playing soccer. In the car last evening I was listening to various news services and NPR had a story –none of the other international services did– of the beatification of Del Portillo. But the real story seemed not the beatification of a man known for holiness but his connection to Opus Dei famously derided in Dan Brown’s The DaVinci Code. I fail to see what one thing really has to do with another. Saint Josemaría Escrivá’s original vision for Opus Dei has nothing to do with the political monikers of being liberal or conservative. Many will frame the group in these terms out ignorance. Opus Dei –a Latin concept meaning “The Work of God”– is about encouraging Catholics to know their ordinary, everyday work and life as a path to holiness. In other words, we are all called in whatever our work is, to the universal call to holiness; a strong emphasis of the Second Vatican Council and many saints. Religion is NOT just for 47 minutes on a Sunday morning where you put your money in the parking meter. So, what ought to be admired about Opus Dei is the group’s emphasis and witness on the dignity of the laity. This same emphasis is also seen in two other ecclesial movements in the Church: Communion and Liberation and Focolare. But, The Work of God since its founding in 1928 has a significant challenge to the ultra-clerical attitudes of our Church while raising up the beauty of being a lay Christian and building up the Mystical Body of the Church. 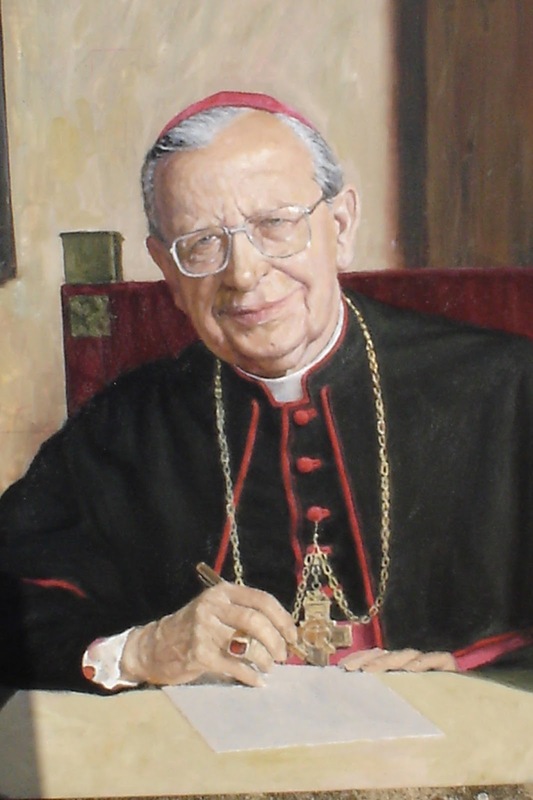 Blessed Alvaro Del Portillo’s style was humble and faithful to the charism he was given by God to fulfill in history. His reputable for holiness is well-regarded and and substantiated. 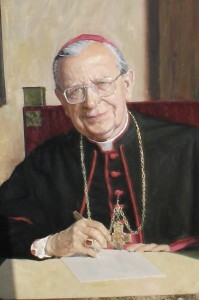 Del Portillo worked with Saint Josemaría Escrivá, the founder of Opus Dei for more than 40 years, and later his successor as the group’s leader until 1994. Opus Dei is a lay organization in the Church with more than 90K members; only 2,073 are priests. Blessed Alvaro, pray for us. A “Passion-bearer,” is one who is killed, not directly for professing the Christian Faith, but while practicing and upholding the practical implications of the Faith, frequently accepting death rather than themselves shedding blood. Their voluntary death links them in a very special way, to that of Christ’s Passion, so they are said to bear his passion in their own bodies. 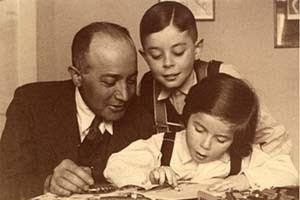 The first to be designated as such were Ss. 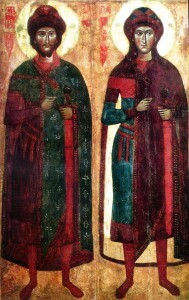 Boris and Gleb, sons of St Vladimir of Kiev. They were devout Christians who refused to shed blood or defend their royal rights against their brother, who had them murdered. 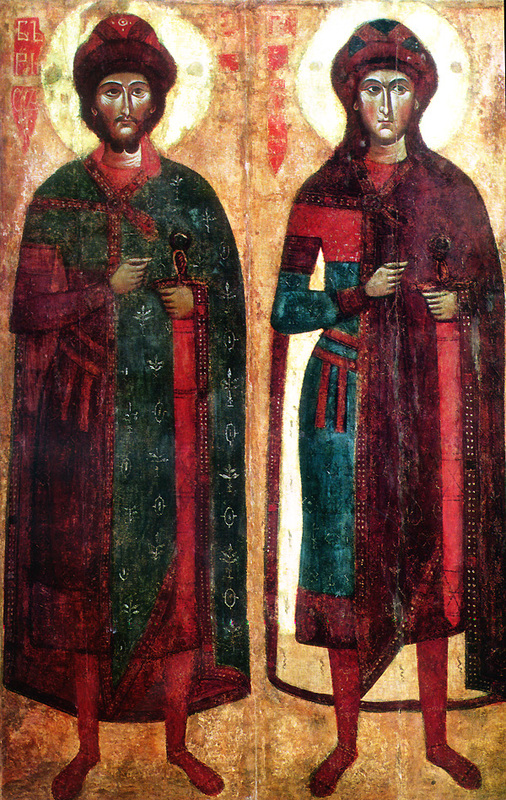 St Nicholas II and his Family were officially canonized as Passion Bearers, not martyrs (though they are often referred to as the latter). This was for the way in which they bore their humiliation and suffering following the Tsar’s abdication, all the while maintaining their faith in the Lord and trust in his Will. So, while one can quibble over Nicholas’ ups and downs as an Emperor, there is no question as to his genuine faith, model family life (not something most royals were known for), devotion to duty, and steadfastness under tribulation. In the case of such Passion Bearers as the Imperial Family, including my beloved Grand Duchess/Nun St Elizabeth and her companions, a person with a secular mindset will say that they were killed simply because they were members of the former ruling family. However, viewed in Orthodox terms, the status of the Tsar as an anointed king (sacral and sacrosanct) who was actually very devout and strove to live and model the Faith, gives his death along with that of his family, a martyric character.